Home Education for MMA What is Mixed Martial Arts or MMA? Mixed martial arts (MMA), is a full contact combat sport that allows the use of both striking and grappling techniques, both standing and on the ground, from a variety of other combat sports. The roots of modern mixed martial arts can be traced back to the ancient Olympics where one of the earliest documented systems of codified full range unarmed combat was in the sport of pankration. Various mixed style contests took place throughout Europe,Japan and the Pacific Rim during the early 1900s. The combat sport of vale tudo that had developed in Brazil from the 1920s was brought to the United States by the Gracie family in 1993 with the founding of the Ultimate Fighting Championship (UFC), which is the largest MMA promotion company worldwide. The more dangerous vale-tudo-style bouts of the early UFCs were made safer with the implementation of additional rules, leading to the popular regulated form of MMA seen today. Originally promoted as a competition with the intention of finding the most effective martial arts for real unarmed combat situations, competitors were pitted against one another with minimal rules. Later, fighters employed multiple martial arts into their style while promoters adopted additional rules aimed at increasing safety for competitors and to promote mainstream acceptance of the sport. The name mixed martial artswas coined by Rick Blume, president and CEO of Battlecade, in 1995. Following these changes, the sport has seen increased popularity with a pay per view business that surpasses boxing and professional wrestling. Stand-up: Various forms of Boxing, Kickboxing, Muay Thai, Taekwondo, and Karate are trained to improve footwork, elbowing, kicking, kneeing and punching. Clinch: Freestyle, Greco-Roman wrestling, Sambo and Judo are trained to improve clinching, takedowns and throws, while Muay Thai is trained to improve the striking aspect of the clinch. Ground: Brazilian Jiu-Jitsu, Submission Wrestling, shoot wrestling, catch wrestling, Judo and Sambo are trained to improve ground control and position, as well as to achieve submission holds, and defend against them. Some styles have been adapted from their traditional form, such as boxing stances which lack effective counters to leg kicks and the muay thai stance which is poor for defending against takedowns due to the static nature, or Judo and Brazilian Jiu-Jitsu, techniques which must be adapted for No Gi competition. It is common for a fighter to train with multiple coaches of different styles or an organized fight team to improve various aspects of their game at once. Cardiovascular conditioning, speed drills, strength training and flexibility are also important aspects of a fighter’s training. 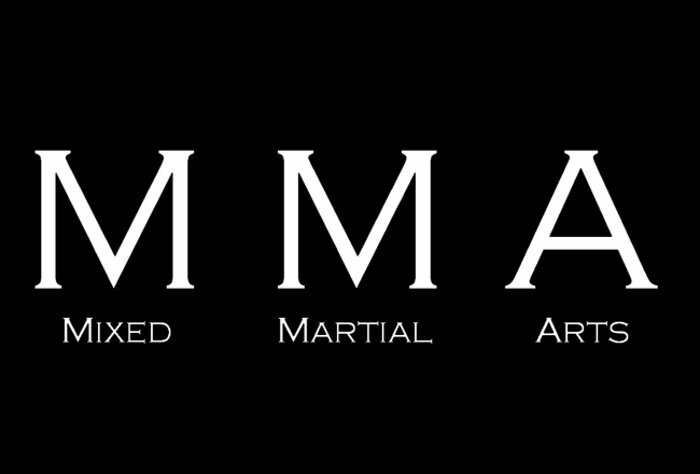 Some schools advertise their styles as simply “mixed martial arts”, which has become a style in itself, but the training will still often be split into different sections. While mixed martial arts was initially practised almost exclusively by competitive fighters, this is no longer the case. As the sport has become more mainstream and more widely taught, it has become accessible to wider range of practitioners of all ages. Proponents of this sort of training argue that it is safe for anyone, of any age, with varying levels of competitiveness and fitness. Brazilian Jiu-Jitsu came to international prominence in the martial arts community in the early 1990s, when Brazilian Jiu-Jitsu expert Royce Gracie won the first, second and fourth Ultimate Fighting Championships, which at the time were single elimination martial arts tournaments. Royce fought against often much-larger opponents who were practicing other styles, including boxing,Wrestling, Amateur Wrestling (including Freestyle, Greco-Roman, and American Folkstyle), shoot-fighting, karate, judo and tae kwon do. It has since become a staple art for many MMA fighters and is largely credited for bringing widespread attention to the importance of ground fighting. Sport BJJ tournaments continue to grow in popularity worldwide and have given rise to no-gi submission grappling tournaments, such as the ADCC Submission Wrestling World Championship. It is primarily considered a ground-based fighting style, with emphasis on positioning, chokes and joint locks. Amateur Wrestling (including Freestyle, Greco-Roman, and American Folkstyle) gained tremendous respect due to its effectiveness in mixed martial arts competitions. Wrestling is widely studied by mixed martial artists. Wrestling is also credited for conferring an emphasis on conditioning for explosive movement and stamina, both of which are critical in competitive mixed martial arts. It is known for excellent takedowns, particularly against the legs. 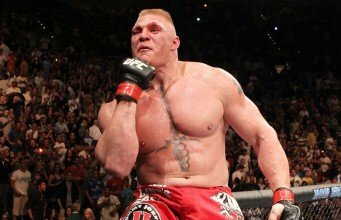 Notable fighters Chael Sonnen, Randy Couture, Dan Henderson, Jon Fitch, Cain Velasquez, Brock Lesnar. Karl Gotch was a catch wrestler and a student of Billy Riley‘s Snake Pit in Whelley, Wigan. In the film Catch: the hold not taken, some of those who trained with Gotch in Wigan talk of his fascination with the traditional Lancashire style of wrestling and how he was inspired to stay and train at Billy Riley’s after experiencing its effects first hand during a professional show in Manchester, England. After leaving Wigan, he later went on to teach catch wrestling to Japanese professional wrestlers in the 1970s to students including Antonio Inoki, Tatsumi Fujinami, Hiro Matsuda, Osamu Kido, Satoru Sayama (Tiger Mask) andYoshiaki Fujiwara. Starting from 1976, one of these professional wrestlers, Inoki, hosted a series of mixed martial arts bouts against the champions of other disciplines. This resulted in unprecedented popularity of the clash-of-styles bouts in Japan. His matches showcased catch wrestling moves like the sleeper hold, cross arm breaker, seated armbar, Indian deathlock and keylock. Karl Gotch’s students formed the original Universal Wrestling Federation (Japan) in 1984 which gave rise to shoot-style matches. The UWF movement was led by catch wrestlers and gave rise to the mixed martial arts boom in Japan. Wigan stand-out Billy Robinson soon thereafter began training MMA legend Kazushi Sakuraba. Catch wrestling forms the base of Japan’s martial art of shoot wrestling. Japanese professional wrestling and a majority of the Japanese fighters from Pancrase, Shooto and the now defunct RINGS bear links to catch wrestling. The term no holds barred was used originally to describe the wrestling method prevalent in catch wrestling tournaments during the late 19th century wherein no wrestling holds were banned from the competition, regardless of how dangerous they might be. The term was applied to mixed martial arts matches, especially at the advent of the Ultimate Fighting Championship. Using their knowledge of ne-waza/ground grappling and tachi-waza/standing-grappling, several Judo practitioners have also competed in mixed martial arts matches. Anderson Silva, who is the top ranked fighter in the world maintains a black belt in judo, former Russian national Judo championship Bronze medallist Fedor Emelianenko, famous UFC fighter Karo Parisyan, Olympic medallists Hidehiko Yoshida (Gold, 1992), rising contender Dong Hyun Kim is a 4th degree judo black belt, and Ronda Rousey (Bronze, 2008) now Strikeforce Women’s Bantamweight Champion. Paulo Filho, a former WEC middleweight champion has even credited judo for his success during an interview. Karate has proved to be effective in the sport as it is one of the core foundations of kickboxing, and specializes in striking techniques. Various styles of karate are practiced by some MMA fighters, notably Chuck Liddell, Lyoto Machida, Stephen Thompson, John Makdessi, Ryan Jimmo and Georges St-Pierre. Liddell is known to have an extensive striking background in Kenpō and Koei-Kan whereas Lyoto Machida practices Shotokan Ryu, and St-Pierre practices Kyokushin. Muay Thai, like boxing and various forms of kickboxing, is recognised as a foundation for striking in mixed martial arts, and is very widely trained among MMA fighters. Countless mixed martial artists have trained in Muay Thai, and it is often taught at MMA gyms as is BJJ and Wrestling. Muay Thai is the style which is used predominantly for the stand-up game in MMA. It originated in Thailand, and is known as the “art of eight limbs” which refers to the use of the legs, knees, elbows and fists. It is a very aggressive and straight forward style. A very popular Korean martial art, Taekwondo has had mixed success. While many practitioners have a background or have trained in Taekwondo in the past, due to the sparring rules Taekwondo is traditionally sparred in, it often requires cross-training with kickboxing for full contact strikes. Nonetheless, the excessive kicking is recognized as a good way to keep the opponent at a distance, score points and even effectively knock someone out. Fighters such as Anderson Silva, Cung Le, Benson Henderson and Anthony Pettis are notable fighters who have successfully used Taekwondo techniques in mixed martial arts competition. Text on this page taken from Wikipedia under the Creative Commons License.